I love to plan parties. I don't know what it is that is so enthralling about it, but I get so excited! I love creating and making a party look fun and not super commercialized. To me, decorations are what helps the guests get into the party spirit and have fun. Something about the theme, colors, food spreads, etc. It's so exciting. My sweet friend Aimee was kind enough to let me help her plan and decorate for her Daughters 12th Birthday. The theme of the event was "Movie Night".. However, no movies were watched. Originally the girls were going to split up into two groups and make movies, then we would get back together and watch them. The plan strayed a bit. With 15 girls, and lots of events planned, things went off track. Aimee and I spent about three days on this party. Planning, brainstorming ideas, shopping, gathering supplies, dreaming up ideas for tags and food tents, creating, decorating and baking. Along with our daily duties of Mamas and wives... We planned it just right and pulled it off with time to shower. It consumed our lives, but totally worth it. One thing we did was prepared the gift bags the day before. They ended up perfect. We got popcorn boxes here, then grabbed theater size boxes of candy, microwave popcorn and bottles of Crush and IBC rootbeer at Walmart. Of course we went into Wally world, not online. We stuffed a little tissue paper in the bottom of the boxes to give them some height, wrapped them in cellophane, and tied with a cute bow with ribbon also purchased at Walmart. Aimee's Mr. Wonderful designed some labels for us on Photoshop. He did awesome! The gift box for the girls! LOVE IT! Gift boxes displayed! A decor piece in itself! Our Dessert table was a Sundae Bar, with of course other options! Oreo truffles, cake bites... never enough sugar. The food tents were also created by Aimee's Mr. Wonderful. We used a piece of Red fabric I had and draped it over set of white lights (Hence the sparkles under the fabric).. we used some bling bead necklaces purchased at our local dollar tree. 8 necklaces for $1. Gold and Silver. Cant beat that! Add them to the party collections! Toppings (Crushed up candy bars, and skittles) all requested by the birthday girl! Chalboard sheet square used for the sign. We made cupcakes in red and silver foil wraps. Frosted White , with Mini Marshmellows put on and painted with yellow food coloring mixed with water to look like popcorn. Aimee saw this idea on pinterest and I am not sure who to give credit to (I apologize to the creator out there).. I placed the Wilton cupcake stand on a box that was placed under the red fabric. The Beverage station! We used more red fabric to drape over a Painting already hanging. The tinsel was purchased at Dollar tree after Christmas. Worked great with our "Movie" theme. The production sign was found at Zurcher's, along with the hanging stars. The tickets were also found at Zurchers. We filled her apothecary jar and tied a cute striped ribbon up top. I used a box (i think it was a shoe box) to give the height of the production sign. I placed the box down, then draped over some gold shimmer fabric i had on hand. I placed the cake stand under the fabric also, prior to putting Aimee's new Pottery Barn Drink Dispenser on. The popcorn box is plastic, found from Target's Famous $1 section, stuffed with Tissue paper. . We invested in some Star String Lights found at Zurcher's. They are gold and silver stars! It looked amazing ! We used mason jars for the drinks and pre-made the guests name on a label printed on photo paper. We decided that if they were labeled it would prevent mix-ups! Brilliant idea! Each mason jar had the label tied on with Martha Stewart's Bakers twine, also found at Zurcher's! I love that stuff! I want every color! We used black napkins and rolled the Cutlery in it and tied with a piece of twine. And of course we had to add the vintage red/white paper straws! I used some tickets to set on the station to pull the red through, and we tied a cute grosgrain ribbon around the jar. I tossed on some silver package curly's found at Dollar Tree, 3 for $1. The Concession Stand! We had popcorn, make-your-own pizza station, nachos, and chocolate chip cookies here. We found the oversize polkadot balloons at Zurcher's! These are a must for every party! They look amazing with all the decor. They tie everything together. We used Dawn's gold and red Chargers for the girls to carry their plates on with their goodies and completed pizzas. We had them just plop where they could find a chair, couch, floor, etc. Pizza ingredients... Sauce, cheese, and pepperoni. Pizza tent printed on Photo paper, of course. I loved the shiny look with the "Movie" Theme party! Licorice place in a square glass vase I had on hand. Grosgrain striped ribbon found at our local Walmart, with the licorice tag. OF course i used my big shot (from Stampin' Up) to cut out the scallop circle. Concession sign made out of foam board, painted black and Letter stickers that were shiny found at the local Dollar Tree. I taped colored tongue depressors (found at Walmart) to the edges, intending to do something else, but decided it would be more flattering to hang from the ceiling. I taped the gold stars to it last minute to tie in the star theme. I tied the balloons to a glass candlestick, also found at the local Dollar Tree, wrapped with Red Tulle and a gold star added to it! The tablescape was a simple white tablecloth , draped over some boxes from the pantry for height. I Made a Movies Sign with foam board, black paint, yellow cardstock and block letters run off on the big shot from Stampin' up. I thumb-tacked it to a gold glittery cone I picked up at Dollar tree at Christmas time. I picked up the star clappers at Dollar tree at New Years. Again, another useful decoration. I love getting versatile use out of things. I used more package curly's to drape on the table. I purchased them in gold and silver. Aimee created a cupcake stand out of a clear glass candlestick and hot-glued a candle holder plate to the top. She painted it using a spray paint (Krylon Fusion for plastic -gloss) purchased from Walmart. She took a shallow box and set it in, and sprayed it in her cold storage room of her basement. (Since it is freezing cold this time of year). The problem we discovered using spray paint, is it takes numerous coats and drying time in between to get to the color you want. The benefit, on the other hand, is that you can achieve just the right color your looking for by spraying it. Versus, using acrylic paint and sponge painting it. I set the roll of tickets in the middle on top of the box and placed my 3D"Camera" made from cardboard boxes, and X-acto knife, black duct tape, hot glue, mason jar lids, yellow sticky-back felt and yellow cardstock. I LOVED the way it turned out! Made for a fun centerpiece underneath the cascading balloons and stars! I draped gold tinsel around the centerpiece and intertwined red tulle purchased in a small role at Walmart. It tied it all together. The other end of the table had another plastic popcorn bucket with tissue, a star clapper, and a directors megaphone Aimee found at Zurchers. The balloons were hung very carefully. lol... Aimee and I did this for the Mario Party we did (which will come in a future post). We learned that they sway a lot, but still look cool. Aimee read somewhere on Pinterest that you can put a marble in them and they wont sway. So we tried it, and the balloons all seemed to deflate by pinholes. I am still not quite sure what happened. We will work on that issue for future parties. This is something you can do a couple days before the party, which i would suggest, because this is very time consuming. You blow up each balloon, tie it, and we used a piece of elastic, clear, stretchy jewelry cord found at Walmart for $2. We tied a strand of Jewelry cord between two barstools, and individually tied balloons at varying lengths, Then we hung the whole strand of balloons. I think we did a total of five strands in this particular picture. Then we hung Gold Stars (Cardboard) found at Zurchers to jewelry cord and tied them to the ends of the balloons. This cute back on the length of cord we used. You could also use Fishing line, thread, etc. I liked the jewelry cord because of the flexibility. I tied the ends of the table cloth to the table legs with the red and white striped Grosgrain ribbon. I even taped a di-cut film strip I found in my stash to the big Center Star. You can see that we did this all in Aimee's Kitchen. The beverage station in the back, the concession stand above her counter, and to the right (not pictured) is the counter with the Sundae Bar. I tied three blown balloons together with jewelry cord and put them in each corner of the windows . This helped to tie in the family room and the kitchen. They have a perfect wall for a photo booth. We took the same red fabric, pinned it to the wall, added all the Gold stars we found at Zurcher's. (They came in a package of 12 for $0.99, and they are re-usable). I used that blue sticky goo to put them on the fabric. Worked great. We had a basket with all kinds of silly props. WE took pics of the girls and emailed them (Or their parents) the photos. So FUN! Next time around, maybe a fun sign that says PHOTO BOOTH???? This is the opposite wall of the photo booth and it just needed something. So I used a popcorn container, tied the balloons to one of those clear candlesticks, and stuck it in the popcorn box. I stuffed a little tissue paper around it, and TA-DA... great center piece. This is was on the entry table. These balloons were so much fun to incorporate into the party decor. I tied these to a star balloon holder found at Dollar Tree, draped some gold Tinsel around it..
As I am posting this, I am realizing there are some pics I am missing. A Directors front door sign I created, to greet the guests, and a few others.. I hope i didnt miss taking a picture of them. We had a lot of fun planning, decorating and creating this. The girls did a craft, played a couple games, made pizza, presents, made sundaes, and of course a WII dance party.... Michael Jackson Experience is a phenomenal game, as well as Just Dance 2! 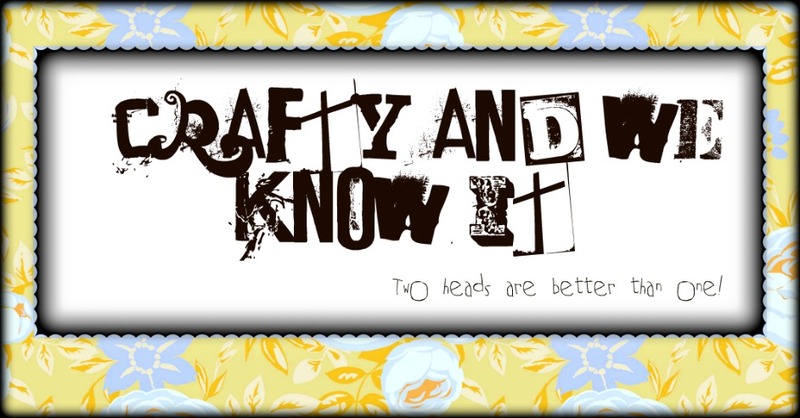 If you have any questions, feel free to leave a comment, email us at craftyandweknowit@gmail.com or visit our facebook page!